Here’s a very difficult choice that many parents face all the time: Do you start saving immediately for your kid’s college education, or do you fund your retirement first, before anything else? Most people would tell you that they’d make almost any sacrifice for their children, and I’m one of those people. 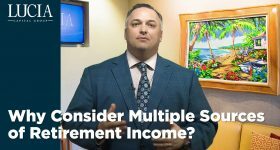 But if given the choice, if I couldn’t fund both at the same time, I would fully fund my retirement savings first before I put any money away for my kids. Why is that the better move? You can think of it this way – you know when you’re on an airplane and they tell you that in the event of a loss of cabin pressure you should put your oxygen mask on first and then assist your child with theirs? The lesson here is that nobody wins if you pass out while trying to help your kid. And this is true with the “college-or-retirement” dilemma as well. Parents who look into the future and see big tuition bills often suspend contributions to their own retirement accounts in order to fund their kids’ future education needs. And that’s almost always a bad idea. Here are three reasons why you should put yourself ahead of your kids this time. 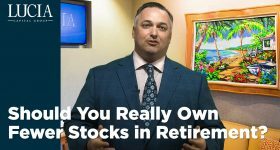 First of all, by not funding your retirement, you’re missing out on potential gains you might have seen by making regular contributions to your 401(k) or IRAs over 10 or 15 years. That could be a lot of money that you’re leaving on the table. Second, because you missed out on funding for your retirement, you might need to work into your 80s because you can’t afford to retire, and then your kids may need to support YOU. Of course, there goes any inheritance they might have had as well. 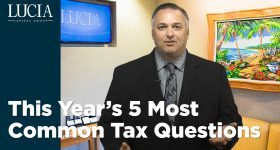 Third, there are a lot of ways to finance your kid’s education, from student loans to government grants and scholarships, not to mention some potential tax credits for doing so. But you can’t borrow money to finance your retirement – you’re completely on your own there. Listen, we all know that putting our children’s needs before our own is a noble impulse, and one that we as parents do every day. 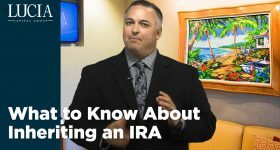 But if you’re unable to fund both your retirement and future college expenses at the same time, choose your retirement. And make sure you start early.